It was a coming out party of sorts for robots generally and automated mobile robots (AMRs) in distribution specifically at the ProMat show in Chicago last week. What were the key trends and developments in terms of AMRs for the DC? Have AMRs in distribution become mainstream now? And what is Amazon doing buying AMR maker Canvas Technology? There is no one better to answer those questions and more than John Santagate, head of a commercial robotics research service at IDC and perhaps the most knowledgeable analyst we have in the industry in terms of robots for supply chain. 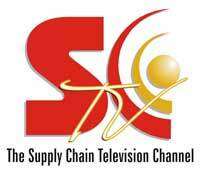 SCDigest editor Dan Gilmore and Santagate discuss these key questions, in an excerpt from our weekly Supply Chain Video News from our Supply Chain Television Channel and CSCMP.